Commode are either wall mounted or floor mounted. Modern day floor mounted commode are known as couple closet WC. These closet come along with a flush tank and a bracket for the tank. The flush tank is separately installed on wall with help of the bracket given. Also for Floor mounted commode S-trap type outlet pipe is used. Wall mounted commode are installed directly on wall. The floor space is open here unlike floor mounted, usually fitted 12” above floor level. The flush tank for wall mounted commode gets concealed in the wall. 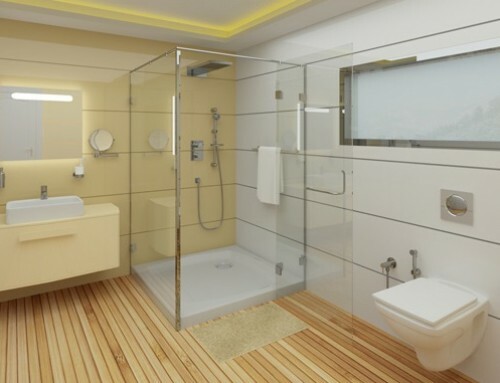 Wall-mount units are relatively attractive in appearance compared to floor-mounted toilets. Wall mount commode makes it easier for home owner to clean the WC area or room. 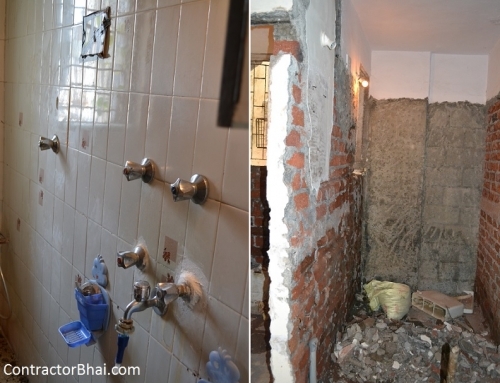 As the flush tank gets concealed in wall, it saves on space. Since the wall mount flush tank gets concealed in wall and the unit installed on thicker wall, it proves to be much stronger and durable then floor mount commode. 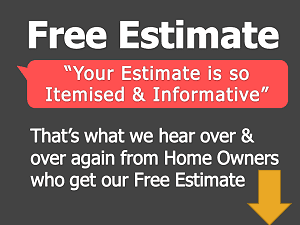 Therefore we would suggest home owners to buy wall mount commode. There are different models and shapes home owners can choose from for wall mount units. But prefer buying either a square shape or oval shape. Avoid buying very modernistic or other shapes for the same. While buying Wash Basin sink for bathroom one very important feature home owners shall look for is the basin/sink bowl depth. The sink bowl shall be deep enough so that water doesn’t splash while using it. With shallow bowls, water will splash all over and stain the wall and surroundings if not cleaned right away. For bathrooms home owners can choose from counter sink bowls to pedestal to wall mounted sinks depending on bathroom space their style. Home owners today can choose from wide variety of standard white ceramic sinks to different materials decorative sinks for bathrooms. 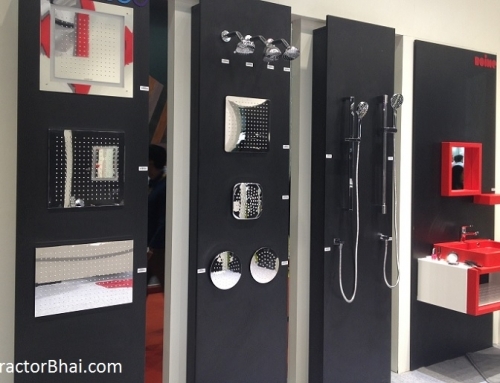 Different materials like glass, resin, metal, copper, steel, etc. 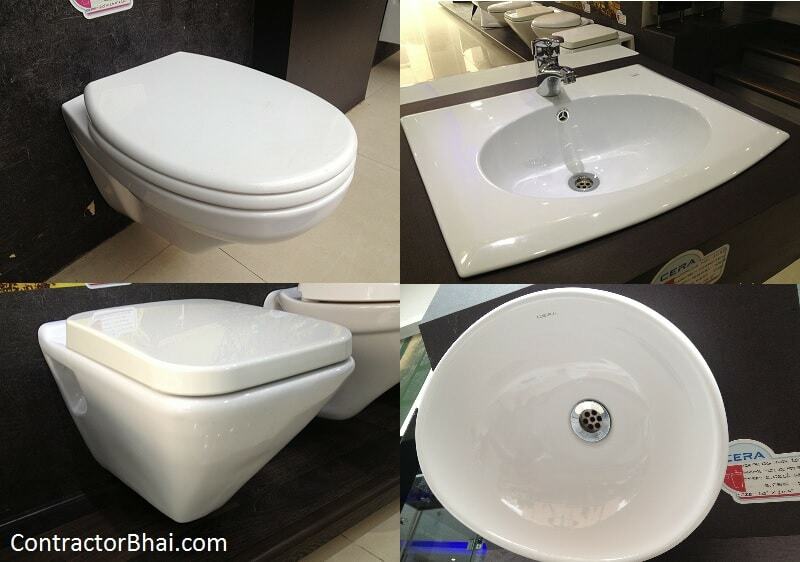 Most home owners prefer white ceramic wash basin that go very well with all style of bathrooms. Resin Pebble Sink vessel is another style that is quite trendy and preferred by modern home owners. This style of sink vessel looks elegant for those placed outside the bathroom. 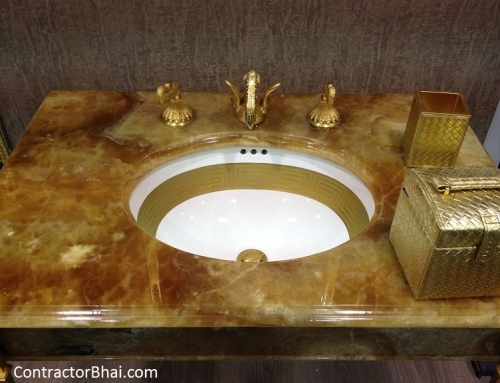 NO matter what style and design, home owners buy, I suggest them to buy branded wash basin or sink bowls. Reason being they come with warranty.